With 2 bedrooms and 2 bathrooms, Tennis Village B306 has plenty of space for up to four people. A roomy living area that opens onto a covered terrace is the ideal place to relax at the end of the day. Meals can be enjoyed at the table on the terrace while you take in the views of the island. A private Jacuzzi is great for stargazing. 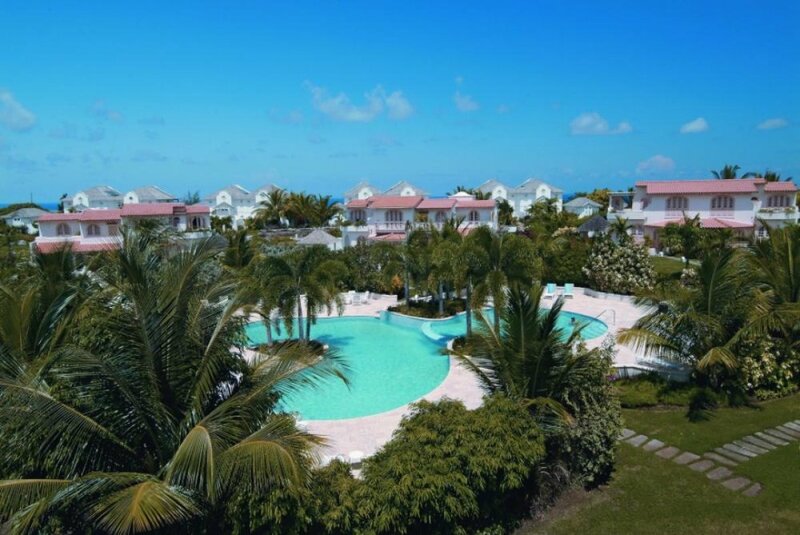 Away from the apartment, guests can enjoy all the amenities that Sugar Hill has to offer, including a large swimming pool, tennis courts, restaurant/bar at the clubhouse, and membership to the Royal Westmoreland Beach Club. The beach itself is just a few minutes away. Roof top terrace with exceptional views! Sugar Hill Village B306 is a privately-owned 2-bedroom, 2-bathroom penthouse townhouse located within Sugar Hill’s Tennis Village. Both of the townhome’s bedrooms have en-suite bathrooms and walk-in wardrobes. The rooftop terrace, which has great island views, offers additional entertaining space and includes a Jacuzzi hot tub, sun loungers, and a refrigerated wine cooler. Sugar Hill is an exclusive gated resort community featuring views over the Caribbean. Located in the parish of St. James, Sugar Hill’s Colonial-style clubhouse has its own 2000-square-foot swimming pool, reception area, members’ only lounge, fitness center, bar, and restaurant. Immediately adjacent are four flood-lit tennis courts. The Palms is located in the John and David Lloyd Tennis Village, which has its own infinity-horizon swimming pool. Residents also enjoy membership of Royal Westmoreland Beach Club bar and restaurant, as well as the Indulgence Spa located at Mullins Beach (only a few minutes’ drive away). Christmas/New Year period special rates apply and are available upon request.